The majority of the club started the day at 7.15 am and travelled to the beautiful grounds of Wollaton Hall & Deer park in Nottingham. The weather when we arrived was fairly kind to us, and thankfully not like a couple of days beforehand, although Storm Doris had certainly left her mark on the course. The fantastic course weaved through the grounds, and was a true test of stamina, with lots of mud, bog, water and a few cheeky hills thrown in there too. For many of our athletes this was their first experience at National Level, and for some their fist cross country. With 5191 finishers on the day and record entries in 5 of the races, it shows that cross country racing is still alive and well. 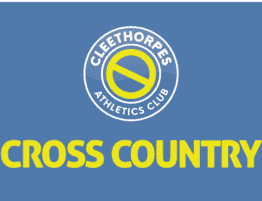 Cleethorpes AC had 37 athletes there to tackle the true cross country course. First up was Molly Ward, in the 5k U17 womens race. She ran a fine race finishing 203rd . 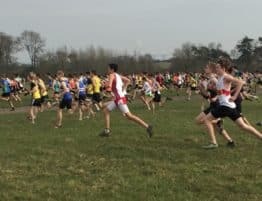 Our U15 boys were next over the 4.5k course, with 379 finishers, first home for us was Lewis Phillips who made a huge improvement on last years race finishing 146th ( 290th last year) backing him up was , Dominic Cartwright 369th and Jack Pritchard 378th both first time at National Level and a great experience for them. Our only, Junior Women Emily Kirk gained valuable experience in her 6k race finishing 137th. 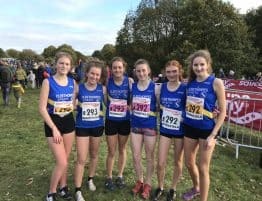 Our U13 Girls team finished the 3k course in, a very credible 33rd out of 52 teams, with Ella greenway leading us home in a fantastic 50th position followed by her team mates, all first time National entries, Katelyn Howden 196th, Maddy Cartwright 294th, Charlotte Davies 391 & Aurelia Pearson 420th. 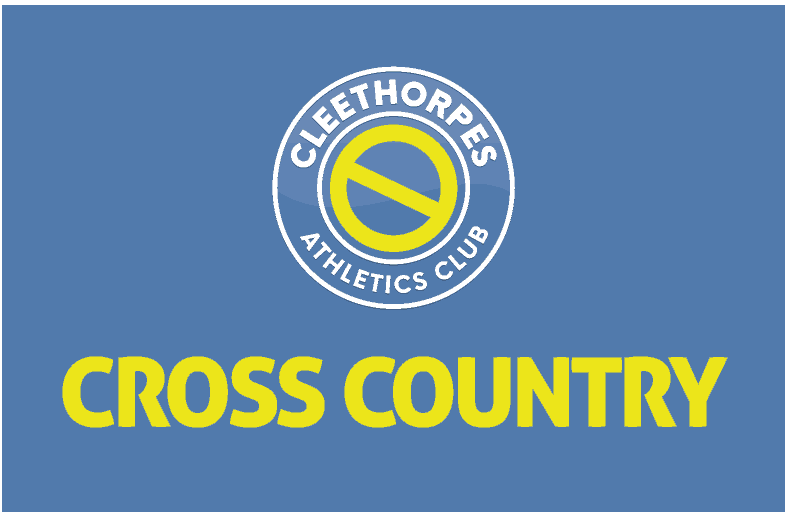 Our U17 men were next to take on the course which was now deteriorating fast first home over th 6k course was Jordan Carlile 245th, followed by Peter Boyd 274th, Ethan Peck 294th and Somir Uddin 301st. Next up was our U15 girls . Grace Sullivan and Robyn Greenway, both lower end age group have made huge improvements on last years results. Grace was first home finishing a excellent 33rd from 426 finishers, followed by Robyn 134th who recovered fantastically well from a slip in all the bog, Devon Low showed another good performance in 204th, Louisa Howden 262 nd in her first race at this level, and completing the team was Amber Laycock in 368th. 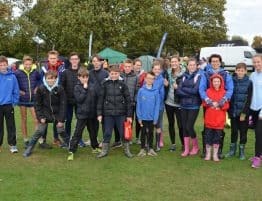 The great running continued with the U13 boys race, with 458 finishers,over the 3k course, first home in a very credible position was George Gale in 174th, followed by his team mates, Joe Carrotte 408th, Miles Peck 409th, William Parker 425th & Daniel playling 458th. A mention must go to Charlie Burrell a fellow Grimsby Harrier who came in a fantastic 64th place. Our 5 senior ladies were next up to take on the tough 8k course. Kirsty Phillips, myself & Lorraine Burrell happened to run all course together and certainly pulled each other on, with Kirsty Phillips, who i gently bullied….. i mean persuaded to compete, put in a fine sprint finish to come first home for our ladies in 635th, myself 640th, closely followed by Lorraine 642nd. 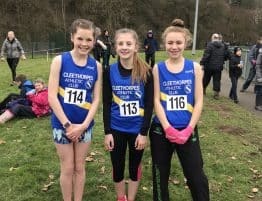 Our other two ladies who also had some gentle persuasion from Our Chair Andrew, ran a fantastic, not only first time Nationals but also first time cross country race, Mel Portlock finishing 685th and Amber Bradley 721st. They loved it and will be back for more!! I’d like to say just what a really fantastic day we had, the team spirit, sportsmanship and support all the athletes showed one another was truly brilliant. You all did our club proud. Well done to all who took part, see you all again next year! GOOD NEWS FROM BARTON DESPITE THE RAIN. The full results are on the Barton website….